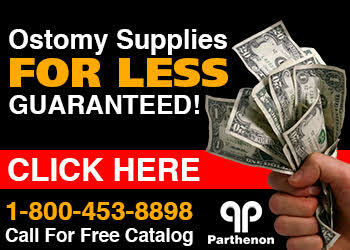 The Parthenon Company Blog - Specialists in Wound and Ostomy Supplies: Ostomy Belts - What Are My Product Options? Ostomy Belts - What Are My Product Options? Having ostomy surgery is a life changing event. The surgically created opening or stoma is now something you must attend to and keep in great condition. There are ostomy supplies to figure out and you must keep your peristomal skin healthy. A great way to obtain samples is to call pouch manufacturers and request a free sample. This will allow you to try a variety of ostomy pouches and skin barriers before buying them. Another aspect to having a stoma is the potential for a hernia to develop. There are a variety of ostomy belts on the market today from a variety of manufacturers. There are the standard appliance belts that attach to the belt tabs of an ostomy pouch. These are made by ConvaTec, Hollister, Coloplast, and Genairex. There are also belts that are a little more specialized that will provide some support as well as help conceal your pouch and these are the Celebration Ostomy Belt and the Phoenix Ostomy Belt. Finally, there is an ostomy belt made specifically to reduce and/or minimize any hernia formation around your stoma by Nu-Hope Laboratories. They have a large selection of belts in widths from 3 inches up to 9 inches and with all sorts of customization options. Material options are the Regular Elastic Ostomy Belt or Cool Comfort Ostomy Belt depending on climate and skin sensitivity. Next time you have any questions about ostomy belts call Parthenon at 1-800-453-8898! Whatever kind of ostomy belt YOU use, it is important to make sure you are getting the best price and quality service from your supplier. That's where Parthenon has you covered! With our "lowest price guarantee", committment to quality service, and getting you the product you want without substituting for a cheaper one, the Parthenon Company is the nationwide leader in discounted ostomy supplies. Parthenon sells the entire line of Hollister ostomy supplies, ConvaTec ostomy supplies, ConvaTec wound care, and skin care lines too! Not long ago we celebrated our 50th year anniversary of serving the ostomy community and we are proud that we have done it with honesty, integrity, and with the greatest attention to our customer's needs. Visit us online or call toll free 1-800-453-8898!